Charles Patrick "Chuck" Thacker (February 26, 1943 – June 12, 2017) was a American pioneer computer designer. He worked on the Xerox Alto, which is the first computer that used a mouse-driven Graphical User Interface. He was known for being the co-inventor of the ethernet. Thacker died on June 12, 2017 from complications from esophageal cancer in Palo Alto, California at the age of 74. 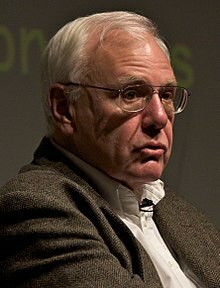 ↑ 2.0 2.1 "Xerox Alto designer, co-inventor of Ethernet, dies at 74". Ars Technica. 13 June 2017. This page was last changed on 15 June 2017, at 04:35.